So you’ve decided to invest in a franking machine. You’ve made the initial payment and are wondering about operating costs. Once your franking machine is set up in your office the cost of running it may be broken down into just a few components. Replacement ink: it may be cheaper to refill ink cartridges rather than buy replacements. There are also many recycling schemes available that offer discounts on cartridges. Recycling ink cartridges will also strengthen your green business credentials. 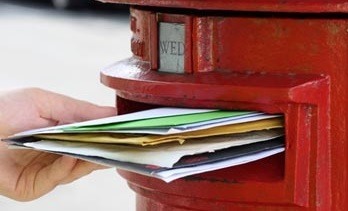 Labels: the date, time, cost of postage and any messages you choose to include are typically printed directly onto the envelope as it’s passed through the franking machine. But for larger parcels you will need labels. Self-adhesive mailing labels can be purchased in packs or rolls, generally in volumes of 500 or 1000. The more you buy, the cheaper the price per label. Maintenance: if you rent your franking machine an annual service fee is typically included in your rental contract.